Heat Transfer started back in 1974 as a designer and manufacturer of heat exchangers for the boiler industry. By the 1980’s they introduced their first indirect water heater and their product line began to increase to include boilers, One of their premier boilers in their inventory is the HT Elite Heating Boiler. These boilers were part of the company’s first products to offer a low mass but high efficiency boiler. The Elite Heating Boiler can either be floor or wall mounted for a more flexible installation. The Elite Heating Boiler has an AFUE rating of 98% one of the highest in the industry. This boiler system offers a 6 to 1 turn down ratio. This is beneficial since it allows the boiler to adapt to lower firing rates at a shorter cycle. This will increase efficiency and save energy. The Elite Heating System also offers 6 different size boilers; they range from model number EL-80, EL-110, EL-150, EL-220, EL-299 and the EL-399. The EL-80 has an Input range of 14,000 to 80,000 BTU’s, the EL-110 has an Input range of 18,000 to 110,000 BTU’s, the EL-150 has an Input range of 25,000 to 150,000 BTU’s, the EL-220 offers 37,000 to 220,000 BTU’s, the EL-299 has 50,000 to 299,000 BTU’s and the El-399 offers an Input range of 37,000 to 399,000 BTU’s. These boilers can be used by both homeowners and by contractors alike. As we mentioned earlier the Elite Heating Boiler offers either wall mounting or floor mounting. The system was designed this way to help a situation if multiple boilers need to be installed. The design was created to save room and to help ease the installation. Another feature of the HT Elite Heating Boiler is the Total System Control. This is an advanced system that was designed to help the operators of the system whether they are homeowners or contractors set up their boilers. This is a programmable system that has an easy to read display. 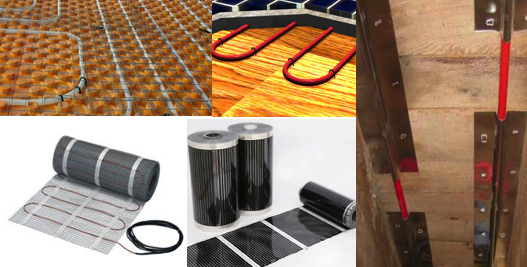 Some of the other features of the Heat Transfer Elite Heating Boiler is the electrical connection board, the hinged arm that allows easy to access components. The gas valve assembly and the condensate management system comes with a float switch. The unit has an easy to vent PVC system but it can work with a CPVC compliant adapter. The Elite Heating Boiler offers a 12-year warranty; the warranty must be registered as of the installation date of the boiler. The way the warranty works is if you have a claim with in the first 2 to 7 years, you will have a complete warranty. A claim made in years 8 and 9, you will be responsible for 25%, years 10 and 11, you will be responsible for 50% and year 12, you will be 75% responsible. This is a limited warranty and only the parts are covered. 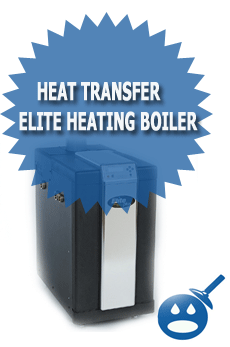 If you are interested in the Elite Heating Boiler or any of the other Heat Transfer Boilers contact your local dealer.